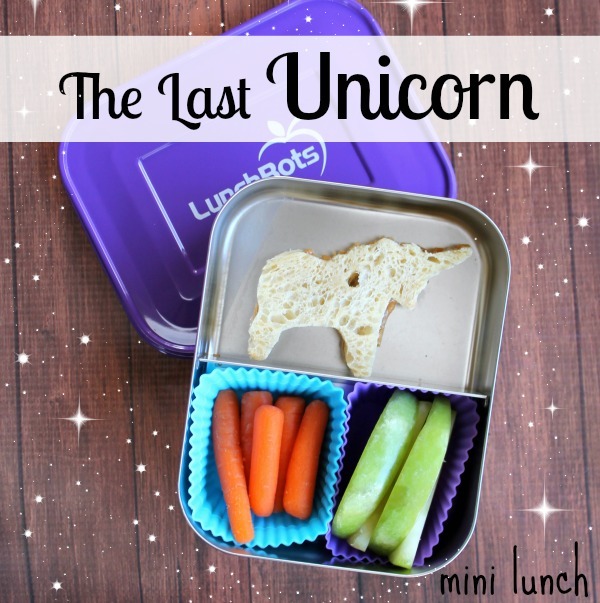 Wednesday, 11/27/13 - I packed Z a small lunch for the last day of school before Thanksgiving because her morning Kindergarten was having their Fall Feast party and I didn't think she'd have much of an appetite after. One of my favorite movies growing up was The Last Unicorn by Rankin/Bass. Well. We didn't have a huge selection on VHS. We pretty much had that and Annie. I never really understood the movie, and when I was older and read the book, still walked away confused. So just the unicorn for Z. None of the weird boobie trees or fiery phallic bulls. 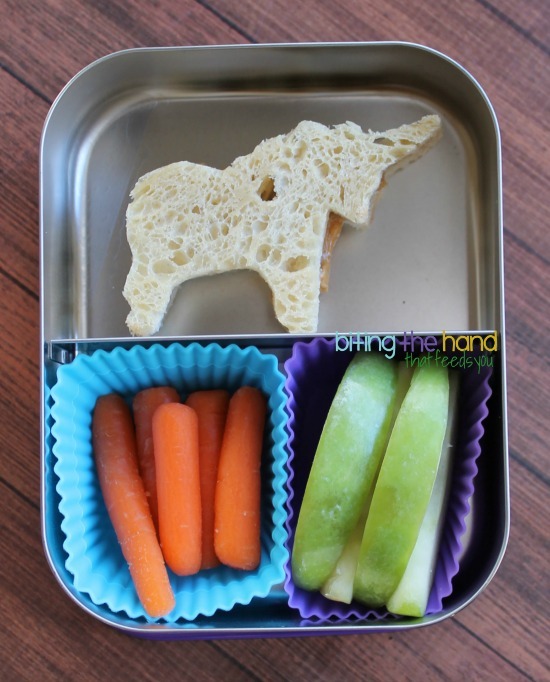 Just a unicorn cookie cutter on some gluten-free bread. Done. 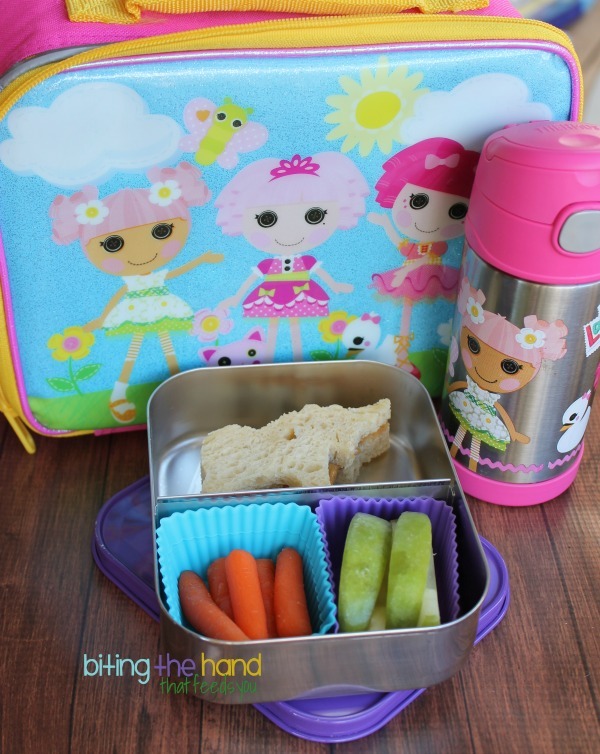 I usually use a larger bag that holds an EasyLunchbox and her Lalaloopsy Funtainer Thermos. It's perfect for her lunches, but not cute. So whenever I use smaller boxes like the Lunchbots Duo, I try and use her soft Lalaloopsy lunchbox, which she loves. Little Sis was crazy jealous. Cool! I really like Unicorns! Cute Unicorn! That movie always scared me when I was little!